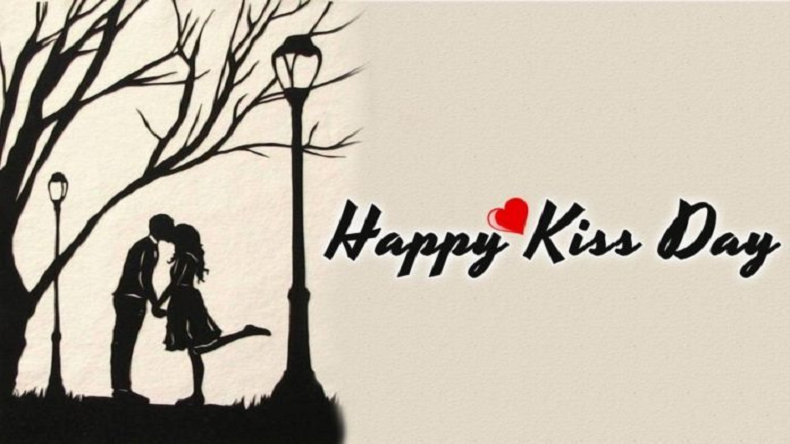 Download Kiss Day 2019 Whatsapp stickers, wallpapers, couple images and photos for Facebook and Instagram for Lovers to wish Happy Kiss Day: On the occassion of Kiss day, just make it special for your partner by spending time with them and make them feel special by planting kisses on their cheeks, foreheads and lips. You can make it more memorable by just greeting them with these cute Kiss Day 2019 Whatsapp stickers, wallpapers, couple images and photos. Couples are all over the globe celebrating Valentine’s week with a lot of excitement and energy. It is a one-week affair which starts from Rose day on February 7 and ends on Valentine’s day on February 14. Kiss Day every year falls on February 13, just a day before Valentine’s day. Each day of Valentine’s week is filled with love, affection, emotions, care and respect towards your girlfriend, boyfriend, husband or wife. You can make the kiss day special for your partner by just planting a simple kiss on their forehead, cheeks or lips as it is one of the best feelings one will ever have. People always remember their first kiss and hope that it should be pious too. When you are missing the spark in your relationship or you are unable to stop an argument then kissing your soulmate can be one of the best things which can be done in that situation and it will definitely make your partner’s cheeks go red and will make it a special moment which will be cherished for a lifetime. If you are at a distance from your partner then you can make your partner feel special by sending them these GIFs and wishes.